Be the envy of your friends! Make a grand entrance carrying the coveted 'Ninfea Tracolla Grande' bag by Furla™ (link ). 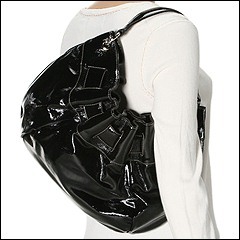 Hobo style shoulder bag made of light weight crinkled patent leather. Holds your wallet, sunglasses, lipstick, keys, personal technology and a bottle of water. Dimensions: 14 wide across bottom, 16 1/2 wide across center, 14 1/2 wide across top x 5 1/2 deep x 10 1/2 high. 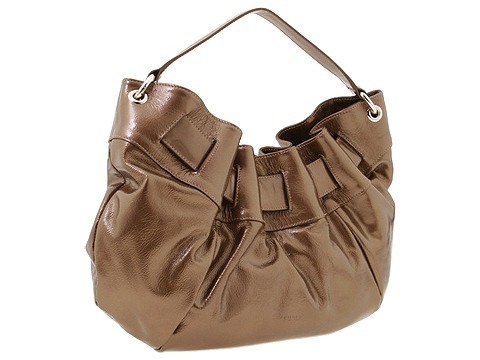 Single shoulder strap. Shoulder drop: 7 length. O-ring details. Platform bottom. Inside magnetic snap closure. Interior lining with a back wall zip pocket. 26.00 oz.